Common filling stitches in Romanian point lace, begin to make Romanian point lace, simple brides, background twisted brides, background filling stitches. Brides (bars) are the narrow connections between the motifs or cords of a lace. They are made in various ways depending on the lace technique. 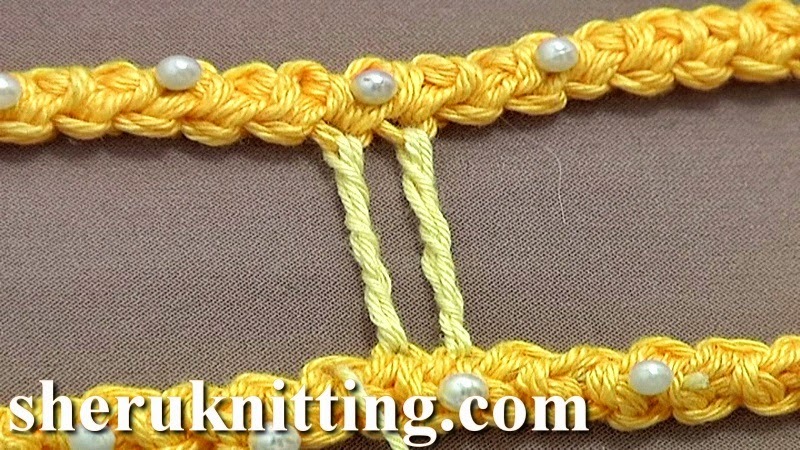 This video demonstrates how to make the thick twisted bride stitch. This simple background filling stitch is thicker and stronger then the regular twisted bride (bar) because the foundation for this stitch consists of 3 threads. This common filling stitch is one of the basic stitches in Romanian point lace, and sometimes it is used in Irish Lace Crochet and Guipure Lace Crochet. Thanks for watching! Yarn: 100% Cotton Mercerized, 169m/50g,4 ply; and embroidery needle.